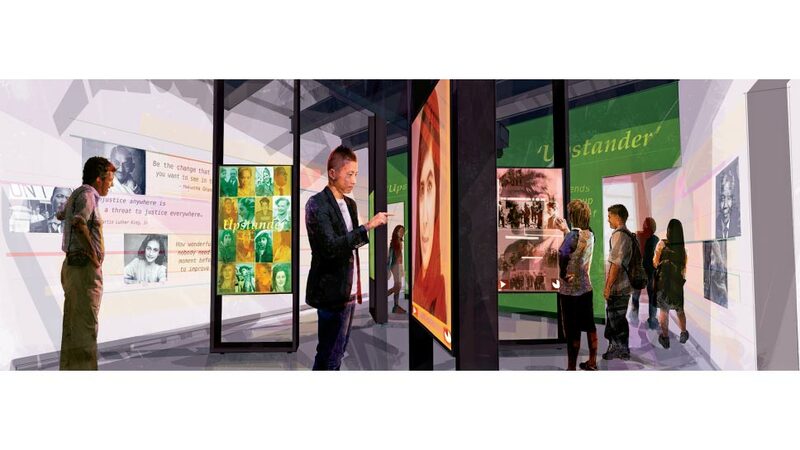 Using groundbreaking technology to preserve and share survivors’ stories, the Illinois Holocaust Museum & Education Center’s new Take a Stand Center reminds visitors why it is more important than ever to recognize the power of their own voice. 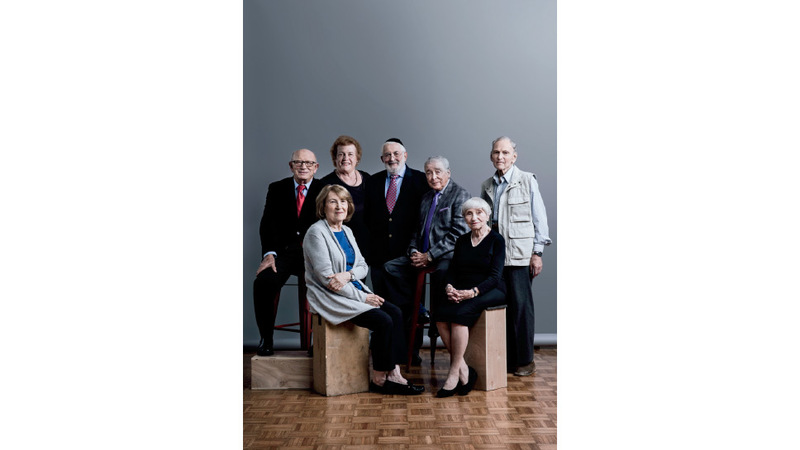 It wasn’t long after Susan L. Abrams joined the Illinois Holocaust Museum & Education Center that she realized an increasing need to preserve survivors’ stories for future generations. “Not only at our museum, but globally there was so much more that needed to be done to tell survivors’ stories,” says Abrams, who began her role as CEO of the third-largest Holocaust museum in the world in 2014. 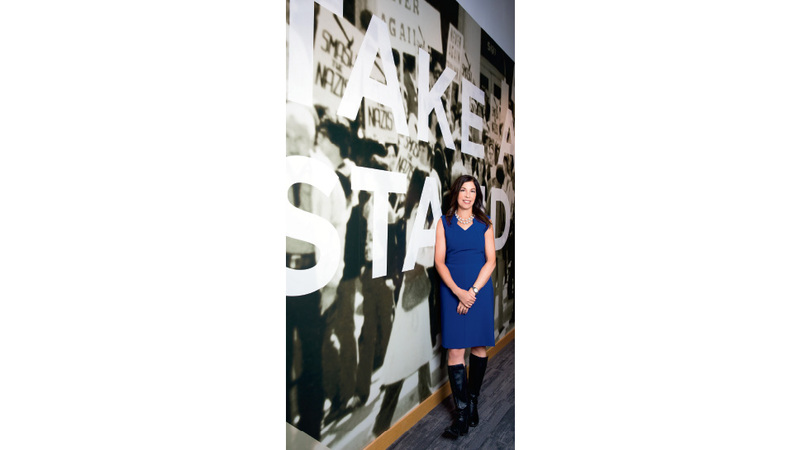 With her colleagues and board of directors, Abrams began to strategize how to better connect survivors with visitors. Now, more than three years later, the Museum is ready to share that strategy in what is the Museum’s most ambitious undertaking yet: the Take a Stand Center, a 4,000-square-foot permanent exhibition that has been designed to not only educate visitors on the danger of hatred, prejudice, and indifference, but also inspire them to recognize the power of their voices and choices and ultimately motivate them to advocate for social justice. At the heart of the Take a Stand Center is the Abe & Ida Cooper Survivor Stories Experience, which unfolds in a 66-seat custom-built holographic theater. 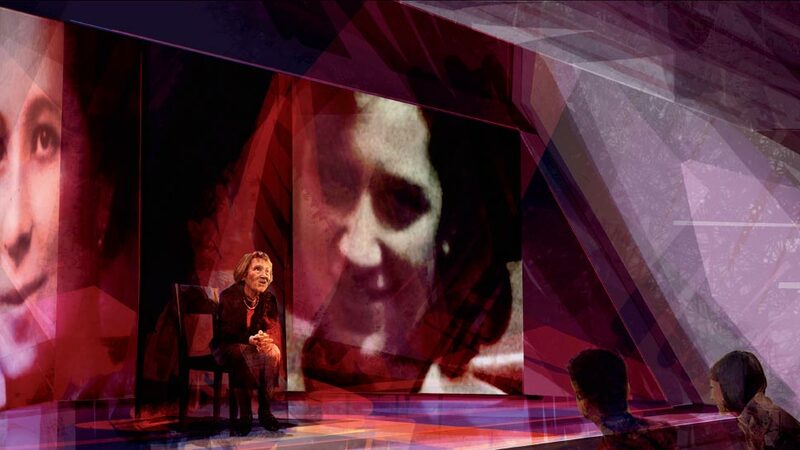 Using interactive, three-dimensional technology developed by the USC Shoah Foundation’s New Dimensions in Testimony program, the Survivor Stories Experience allows Holocaust survivors to share their deeply-moving personal accounts and also respond to questions from the audience through holographic recordings and voice-recognition technology, creating a one-on-one discussion with visitors. The Illinois Holocaust Museum & Education Center is located at 9603 Woods Drive in Skokie, 847-967-4800, ilholocaustmuseum.org.